They say breakfast is the most important meal of the day. It set's you up for a day of trying to multitask, anaysis and think on the spot, which is why a good solid breakfast before work makes sense. Canary Wharf has always been a little bit meh for food in my opinion. 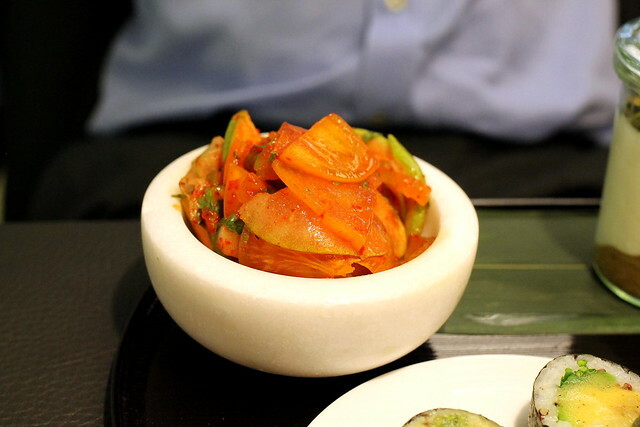 Filled with chain eateries, it's not really a destination for food. 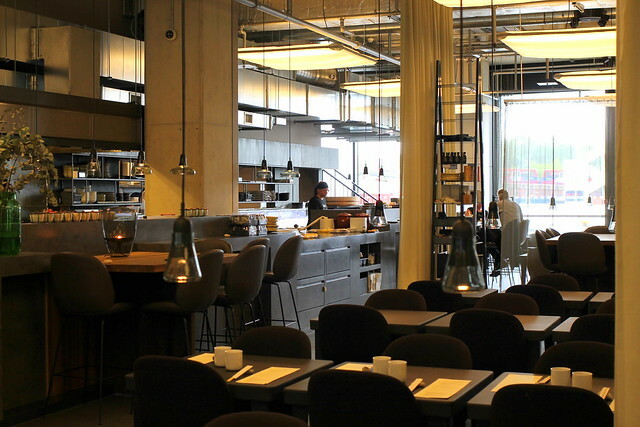 However with the newly opened Crossrail (building not actual underground) a few of London's favorite eateries have opened up other branches there. Think Breakfast Club, Big Easy and also Sticks n Sushi. Sushi wouldn't normally be somewhere I'd think of for breakfast, but never one to not try, I popped along to see. Sticks n Sushi is actually a little bit surprising. 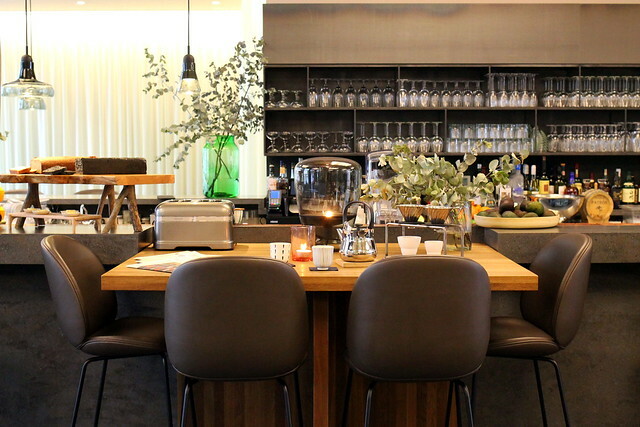 I bet you would never have guessed that it was one of the most successful restaurants in DENMARK. 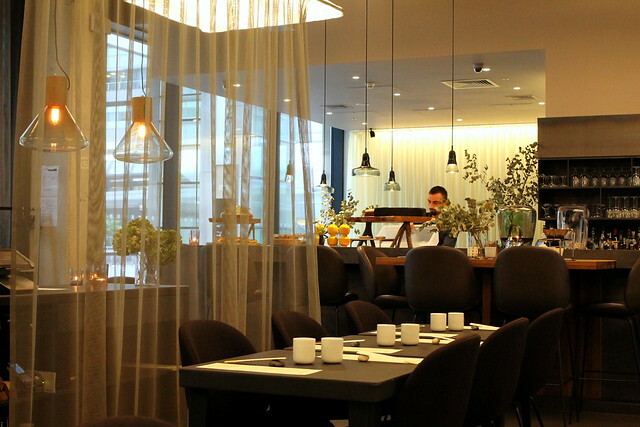 See it isn't just a Japanese restaurant, its a blend of Nordic and Japanese food. The restaurant has a very Nordic feel. Clean lines, and neutral colours, yet fear not, it's not Ikea and more upmarket. 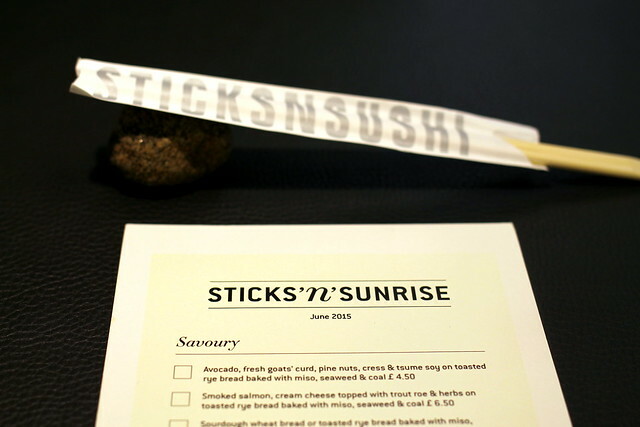 The breakfast menu, named Sticks n Sunrise, is quite an interesting one. You won't find bacon and sausage here, instead think Rye Bread and Seaweed or Sourdough and Goats Curd with Avocado. Oh and yes there is sushi is you do want it that early. 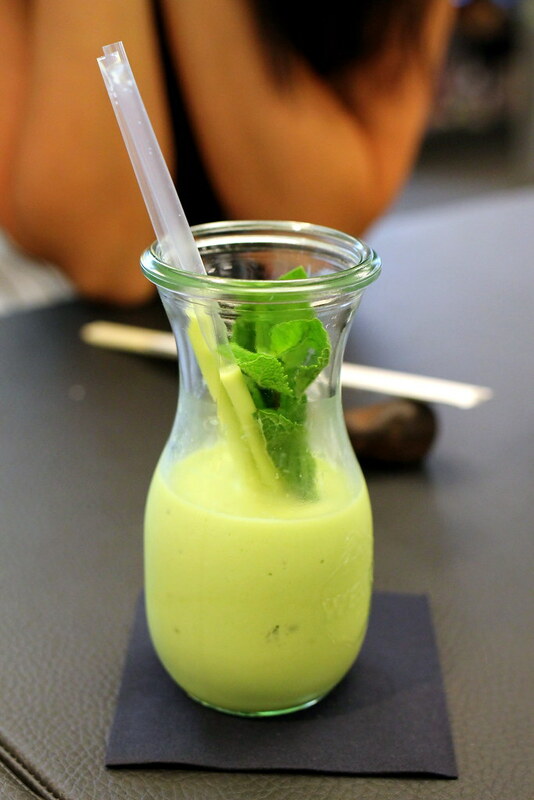 Taking a couple of work colleagues we opted for the smoothie of the day which was avocado, lime and mint. Personally I don't like avocado, but I was told it was good. You can order items seperatly from the menu, but we decided to all opt for a breakfast tray. 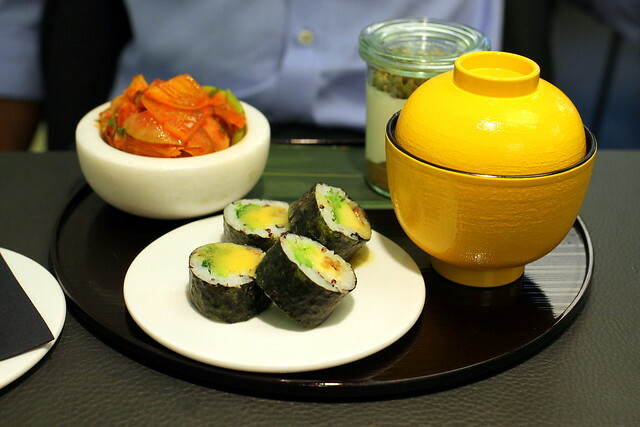 A set menu of small items. My colleague was brave and went for the Japanese Breakfast Tray. 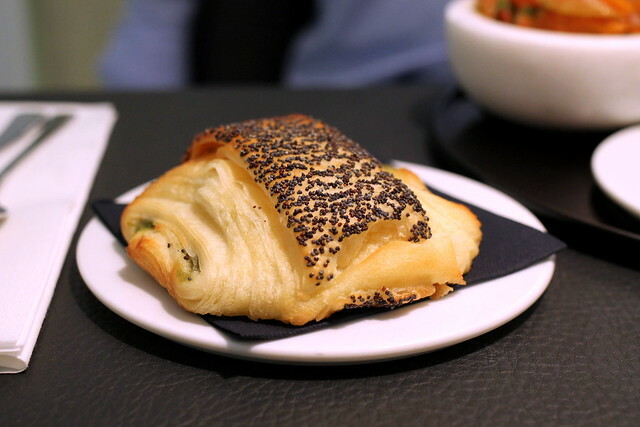 First there was a "Tebirkes" – poppy seed Danish with matcha. Followed by the cute little Japanese tray of food. 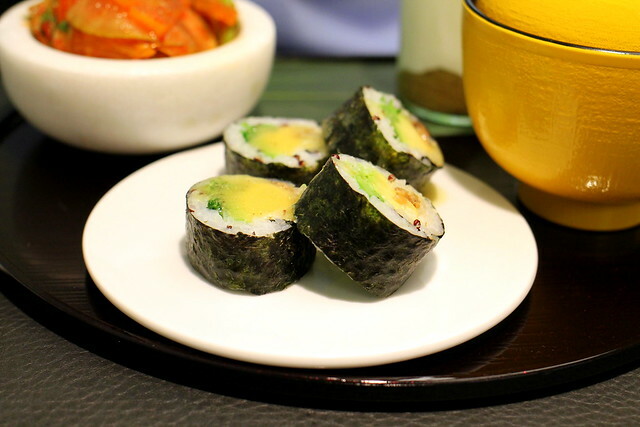 Futomaki quinoa-rice with vegetables & yuzu vinaigrette. 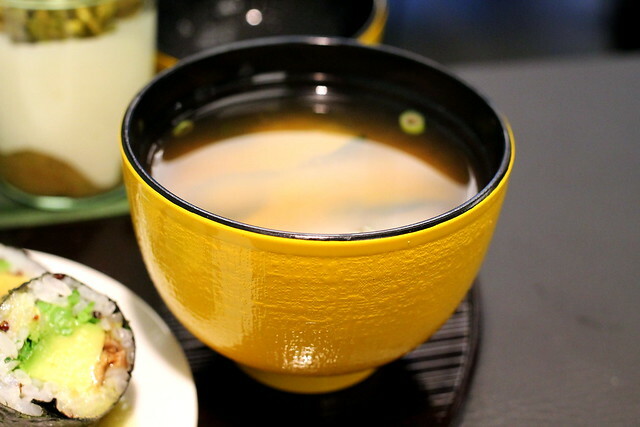 Miso soup with tofu, spring onion & wakame seaweed. 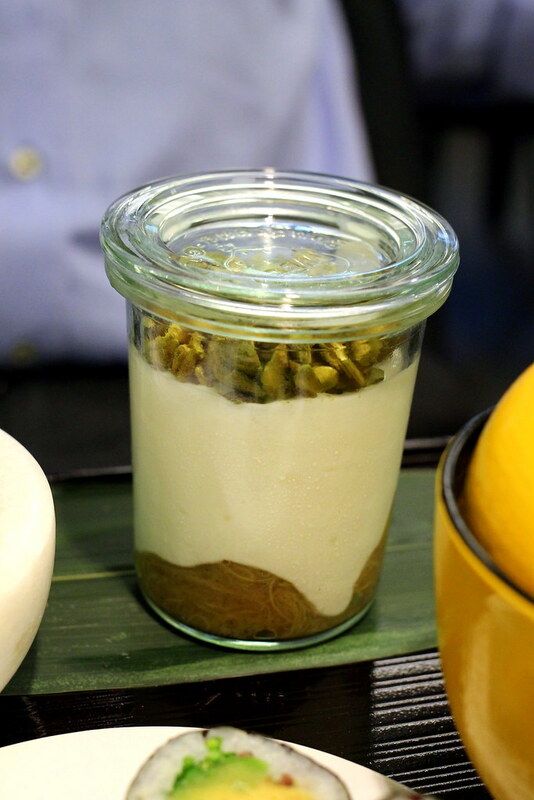 Organic sheep milk yoghurt with homemade matcha-granola & fruit compote. I was told it was all very good, if not a little strange to have at 8am on a Thursday. 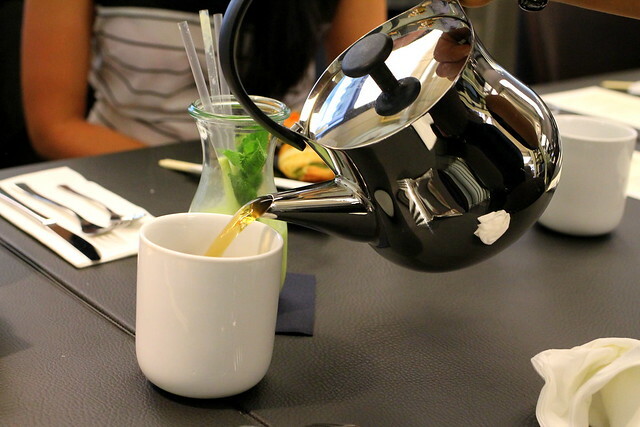 This was accompanied by endless servings if green tea. I and my other colleague opted for a safer breakfast option in my opinion. We had the Nordic Breakfast Tray. Ok so when I safer, there are still some odd sounding ingredients. 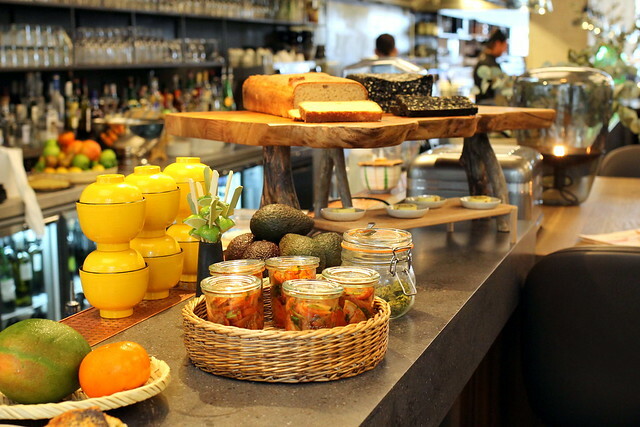 But apparently it is very common in Denmark to have things like seaweed at breakfast. 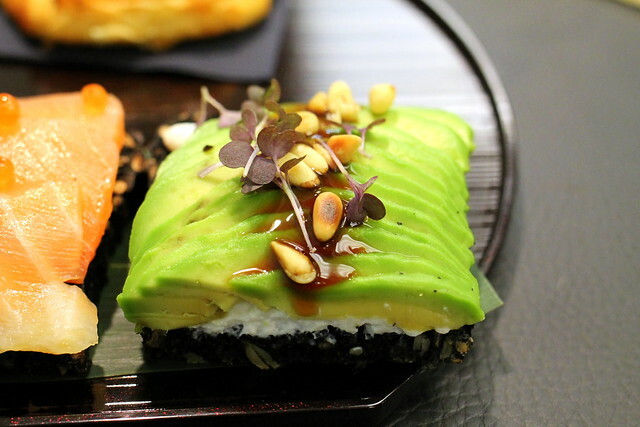 So first up was a piece of avocado, fresh goats’ curd, pine nuts, cress & tsume soy on toasted mini rye bread baked with miso, seaweed & coal. Naughty me took of the avocado as I just can't get into it. So anti blogger trend of me. However the cheese and bread were great. 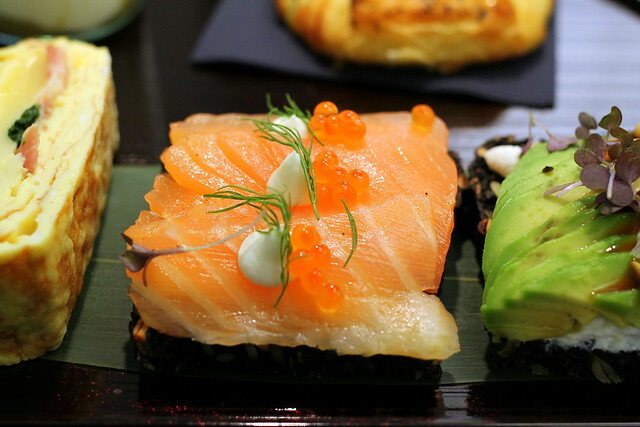 Next was smoked salmon, cream cheese topped with trout roe & herbs on toasted mini rye bread baked with miso, seaweed & coal. I adore smoked salmon so this was right up my street. The rye bread is actually really good and didn't actually leave a dense feeling in my stomach like I thought it would. It didn't have a "Coal" taste but it had a sort of smokey- grill tang to it. 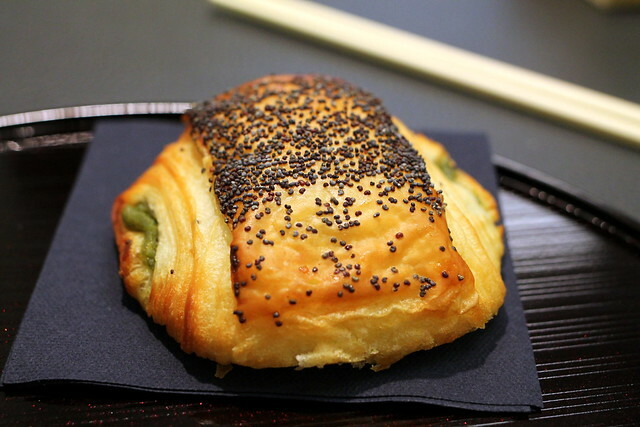 ”Tebirkes" – poppy seed Danish with matcha were just so light and the matcha was sweet but not sickly. 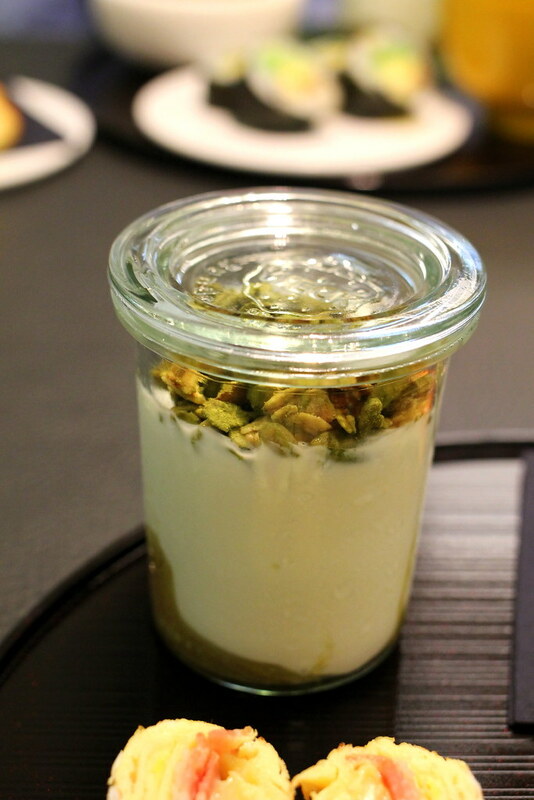 The only thing I didn't like was the organic sheep milk yoghurt with homemade matcha-granola & fruit compote. I think it's more a case I'm not a huge fan of yogurt, but it's a tangy sort of yogurt. 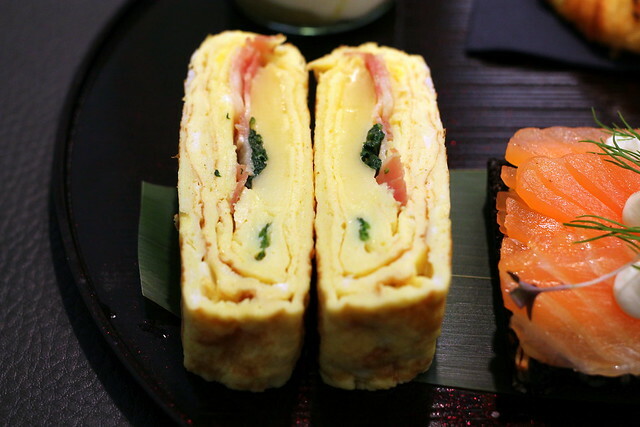 Finally on the tray is a cut little sandwich like duck egg tamago or Japanese omelet with emmental cheese, pancetta & spinach. The egg was well done, and the pancetta gave it a nice contrast to the sweet cheese. 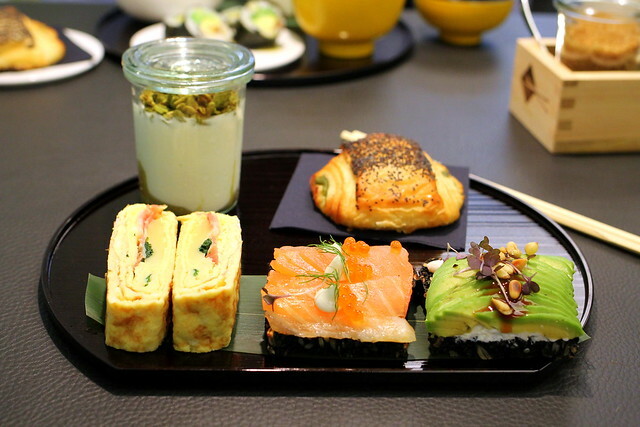 Sticks n Sushi is a great place to go for breakfast before work, or even if your over in the East to come down to the great CW (Canary Wharf). We had a fairly quick breakfast as we only had an hour, but they had some delicious looking cakes if you fancied dragging it out till brunch as well.